I am here in DC for the Internal Revenue Service Advisory Council (IRSAC) meetings. 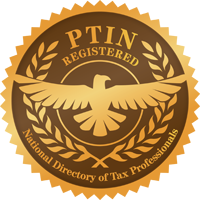 Even in my travels, I try to stay on top of all current events and most especially tax matters, that will affect my clients. If you have a Health Savings Account or HSA, either through work, your business or personally, this is important news. Before the new law, The Tax Cut and Jobs Act (TCJA), was passed in January, the 2018 contribution limit for a family was $6,900. Then the TCJA dropped the maximum to $6,850. So what is the big deal with $50 you may ask? The Internal Revenue Code has all sorts of provisions for penalty assessments when you do something wrong and contribute more to a plan like an HSA or IRA then you are allowed to, is one of those provisions. Since the new law passed AFTER the start of the new year and AFTER taxpayers or businesses made the $6,900 contribution, they over-contributed and would have to pay the penalty. Well, the IRS has just issued guidance that they will allow for the maximum contribution for 2018 to remain at $6,900. I know all of you were on pins and needles worrying about this new turn of events. I am so glad I was able to help you sleep better tonight. So go forth and add that $50 to your HSA.